19thc Prattware Pottery Spirit Barrel . English. C1800-20. 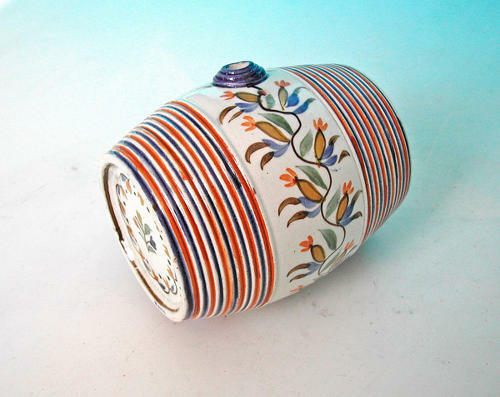 A Prattware Pottery Spirit Barrel or Costral, painted with colourful Floral Sprays and banded in Blue & Orange bands on each end. English. C1800-20. Provenance: From a private collection.